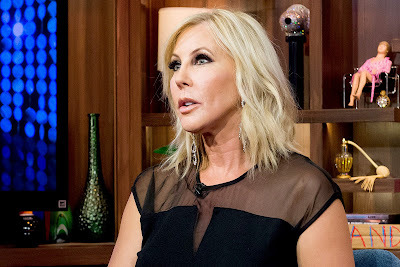 iRealHousewives | The 411 On American + International Real Housewives: Vicki Gunvalson Undergoes Procedure To Clear Blockage in Her Ear! Vicki shared a photo of herself lying in a hospital bed beside her boyfriend Steve Lodge, who drove her to the medical office in Irvine, California. A cholesteatoma “is a skin cyst in the middle-ear made up of trapped skin cells and debris,” according to Stanford Children’s Health, and “can result from injury to the eardrum, chronic middle ear infections and/or chronic pressure buildup, which weakens the eardrum until a small pocket forms that stores trapped skin and debris,” according to PEOPLE.